The Shopify exec knows a thing or two about starting a business. For Satish Kanwar, the idea that "there's no time like the present," is less a cliche and more a piece of practical advice for anyone thinking about starting a business. "What people don't realize before it's too late, often, is that there's no such thing as a perfect moment to become an entrepreneur. You have to force yourself to go now." The vice-president of product for Shopify ought to know. In 10 weeks, Jet Cooper, the Toronto agency he co-founded, went from start-up status to merging with the Ottawa-based e-commerce site. 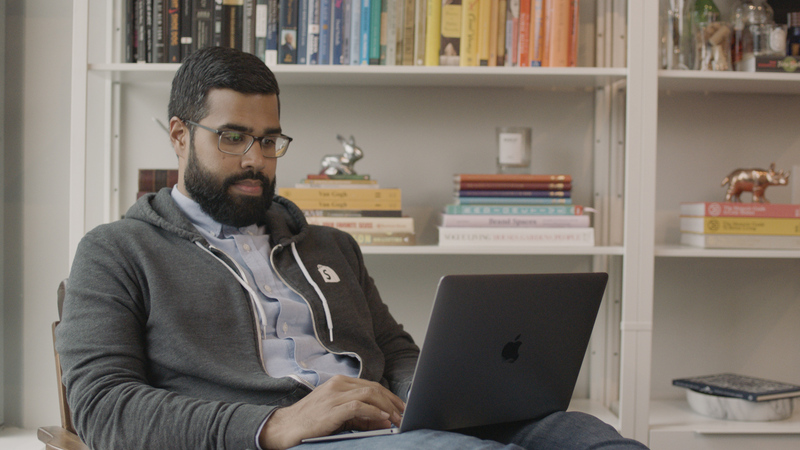 What started as a meeting between Kanwar and Shopify's Tobias Lütke quickly evolved into a partnership that's since grown their Toronto business from 30-some people to over 400 employees. The payoff was certainly there. But that's not to say the decision-making process wasn't daunting. "What people don't realize before it's too late, often, is that there's no such thing as a perfect moment to become an entrepreneur." Kanwar says any further hesitation would have fed into what he calls the "black hole of entrepreneurship" — a headspace budding business owners can find themselves in as self-doubt starts piling up. "There's this thing called the black hole of entrepreneurship. To me, that's all the reasons you build up in your own mind why you're not ready to become an entrepreneur." And while some self-doubt is inherently a part of becoming an entrepreneur, Kanwar says the remedy to keeping it in check is to not treat it like a business at all. "You have to focus on doing something you love, and not on building a business. Think of it like a project; think of it like an idea. Don't think of it like a company. A company comes out of building and expressing yourself in something you love." For more advice from the Shopify exec, check out the video above. CORRECTION: An earlier version of this article stated it took 10 days for the Jet-Cooper-Shopify deal to happen. That has since been updated.